Sports bettors will find a good source from Free MLB picks at this site. Professional handicappers work as a team to provide well researched in depth successful baseball predictions. Expert analysts have but in many years in this industry. 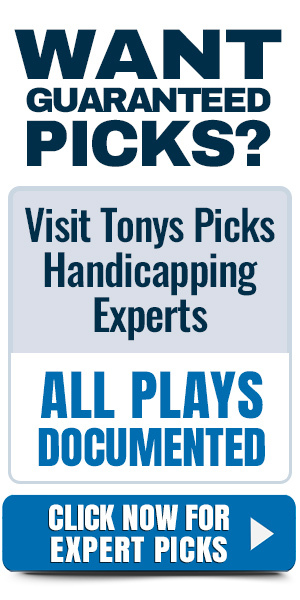 Handicappers on board consider player rosters. It is vital in making profitable free MLB picks to research who will play and who will not. Baseball is 162 games and most everyday players will get a day off once every other week. Each Major League Baseball stadium is unique in structure and climate. Some stadiums have retractable roofs that could impact the flight of the baseball. Our staff researches ballpark configurations and tracks runs scored in various weather conditions. Out west the marine layer can impact the flight of the ball in the early spring. Once summer arrives the marine layer burns quickly from the head of the sun and that condition will cause higher scoring games. Day and night games can produce various results that are tracked by out handicapping analysts. Tracking home road splits of teams is another way to help in successful prognostications. Those wagering on free MLB picks should look for cappers who also have an open mind on advance stats. Known as analytics these stats programmed into computers that track certain criteria that has been proven to be impactful in deciding games. Examples would include walk rates, home run to fly ball ratios and hard contact percentage to name a few. Bettors looking for success with free MLB picks should research in their handicapper analysis for advance statistical data to support their position on a game. Other examples of advance stats when predicting successful free MLB picks is comparing a pitchers ERA to their Xfip. That term is becoming more commonplace in the wagering community as xFIP has proven to be a better indicator of a pitches success on the mound. It takes account of pitches ability to avoid contact, have low walk rates, a good home run to fly ball ratio are just some examples. A good indicator of a pitcher’s success is their ability to pitch to soft contact. That stat is tracked and is a good indicator of success for a pitcher when handicapping free MLB picks. Don’t disregard mainstream stats when doing research on free MLB picks. Pitchers ERA, batters batting average and strikeout to walk ratios should still be looked at. Strength and weakness analysis is very useful in the handicap of free MLB picks. Certain Major League Baseball teams will have a huge difference in their ability to hit lefthanders and righthanders. That stat can be useful in identifying underdogs to bet free MLB picks on. WHIP is still a relevant stat for handicappers searching for free MLB picks. It is a mainstream stat that measures walks and hits to innings pitched. A great WHIP is less than one which equates to how many baserunners are allowed. Limiting baserunners is the key to success to any pitcher in Major League Baseball. Giving up many baserunners will force pitchers to work in jams and that could lead to big innings for the opponent. Many pitchers are on pitch counts so allowing many baserunners will usually lead to a quick exit from a game and a taxing of their bullpen. Relief pitching has become more important in recent seasons for those wagering on free MLB picks. Starting pitcher rarely toss eight or nine innings these days. Rotational starters are going five innings nowadays with the bullpen forced to toss four innings per game. Bullpen ERA is just as important a stat than a starters ERA in the research of games. Bettors want their relievers throwing swinging strikes which is a good sign of movement and high velocity in pitches. Advance stats track the percentage of swinging strikes and velocity of pitches. A troubling sign is researching a pitcher who is seeing a dip in their velocity in recent games. Compared to other sports Major Baseball rules have seen slight changes. For bets on free MLB picks it is important to know when a game becomes official. Wagers on listed pitchers means that if there are a change in the starting pitchers the wager becomes void and a refund is granted. If a game fails to go 5 innings then its is not an official game and the betting amount will be refunded. Bettors wagering on the total of games must have the event to go at least nine innings or 8.5 if the home team is ahead after the top of the ninth inning. Free MLB picks can be won by following certain trends. A successful one is playing on streaks. The game of baseball can be a streaky game with many long winning and losing streaks throughout the season. Also, a good trend to bet on is betting against the three game sweep. If a team has lost the first two games of a series the free MLB pick would be to play on the losing team of the first two games. It is a long 162 game regular season in MLB. Successful free MLB picks can be found when gauging a team’s motivation in certain spots. Many teams find it difficult to play a home game after playing ten straight games on the road and returning to play without an off day. Also teams within their division will play each other 18 times during the season. There are let down spots in Major League Baseball when two bitter rivals like the Red Sox and Yankees meet then in their first game against a different opponent the motivation lessens. Interleague play has been implemented in recent seasons. Free MLB picks handicappers have tracked how successful home teams were in these matchups. In AL games the designated hitter is used and when the game is played in an NL park the pitchers must hit. Games in NL parks are a disadvantage to American League teams because their pitchers will only bat when facing a Nationals League team on the road. Keep an eye out on those matchups when wagering on free MLB picks. Bettors receiving free MLB picks will get a money line, over under total or run line selection. Money line odds may read the favorite with a minus next to a number. An example of -150 odds means to bet a favorite a bettor must wager $150 to win $100. The underdog may be lined at +140 odds in this example. To bet the underdog a $100 bet will return $140. Each game will have an over under line placed on it. Example would be 8.5. A bet on the over on a free MLB picks will be a winner if at total of nine runs or greater is scored. It would be a losing ticked should the teams combine for less than 8.5 runs. Other wagers when betting free MLB picks include parlays and prop bets. Parlays is a wager of two or more teams that all must win to win. The winnings are greater than betting a parlay but they are harder to hit because each team on the bet must win. Prop bets on free MLB picks include season win totals and first five innings line. Each team will have a win total placed prior to the start of the season. Betting first five innings means if the team you are wagering on is ahead after five innings then it would be a winning wager. Consistent winners with their free MLB picks will shop different establishments for the best possible odds for their wager. It is a good practice to have multiple accounts at difference sportsbooks to get the best odds for their wagers. This behavior of researching best odds will give bettors a greater return from their free MLB picks.